To ask other readers questions about The Gathering of the Lost, please sign up. I am a novelist, poet, blogger, interviewer, and lover of story. My first novel "Thornspell", (Knopf) was published to critical praise in 2008, and in 2012 "The Heir Of Night", The Wall Of Night Book One, won the David Gemmell Morningstar Award for Best Fantasy Newcomer and the Sir Julius Vogel Award 2011 for Best Novel. 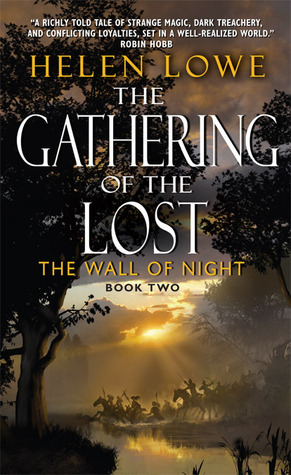 "The Gathering of The Lost", (The Wall Of Night Book Two), was shortlisted for the David Gemmell Legend Award in 2013. I have recently completed the manuscript for "Daughter Of Blood", (The Wall Of Night Book Three)and have commenced work on the fourth and final novel in the series.